Every Friday Coast 101.3 delivers lunch to one lucky office of up to 25 people. But we got to thinkin… what about all of the bigger offices on the Treasure Coast? So we got together with Zaxby’s in Jensen Beach and created the Zack Attack Monthly Munch. 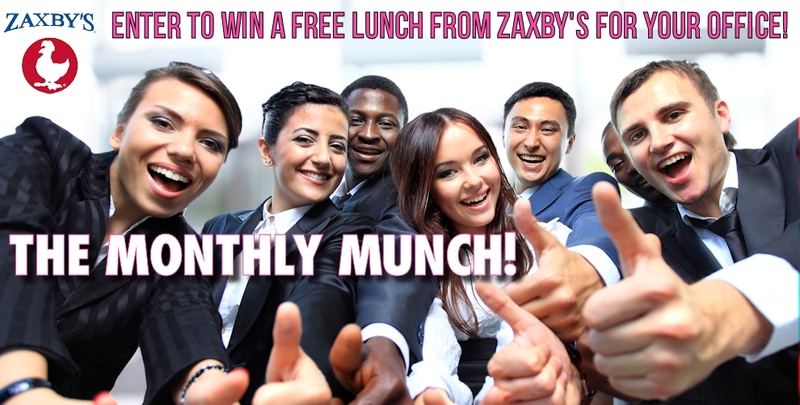 At the end of every month, one BIG office will win lunch from Zaxby’s that includes an entrée, salad, dessert, chips and drink for up to 25 people. Register your office below for the Zack Attack Monthly Munch!